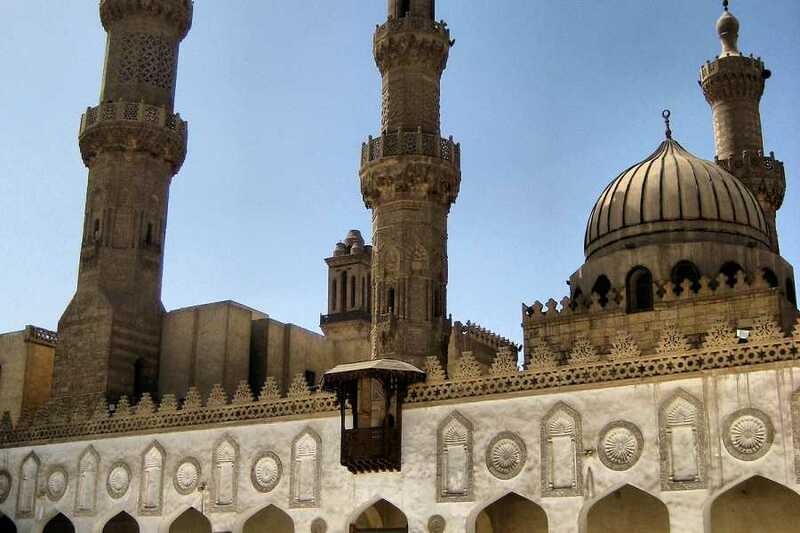 Exploring Islamic and Coptic Christian Cairo without a guide may mean missing some sights and their history, or losing your way. This full-day private tour makes everything easy: covering the highlights and hidden gems of both quarters, including the Abu-Sergah Church and Hanging Church, and the El Sultan Hassan and Amr Ibn Elas mosques. A private air-conditioned vehicle and hotel pickup and drop-off ensure worry-free travel, too. Cairo day tours to Christian and Islamic Sights starts at 8:00 am Pickup from your hotel in Cairo By guide to Start your full day tour visiting Old Cairo that known as Christian Coptic Cairo which is Among the most important locations visited by the Holy Family where the spiritual impact of their presence is most felt still; though their stay was brief, for the Governor of what was then Fustat enraged by the tumbling down of idols at Jesus’ approach sought to kill the Child. But they took shelter from his wrath in a cave above which, in later years, the Church of Abu Serga (St Sergious) was built. This, and the whole area of the Fort of Babylon, is a destination of pilgrimage not only for the Egyptians but for Christians from around the world. An air of piety and devotion pervades the whole district there. Also There you will be able to visit and Enter the Church of Abu-Sergah and St. Barbara, the hanging church, and the old jewish synagogue – Ben Ezra Synagogue. 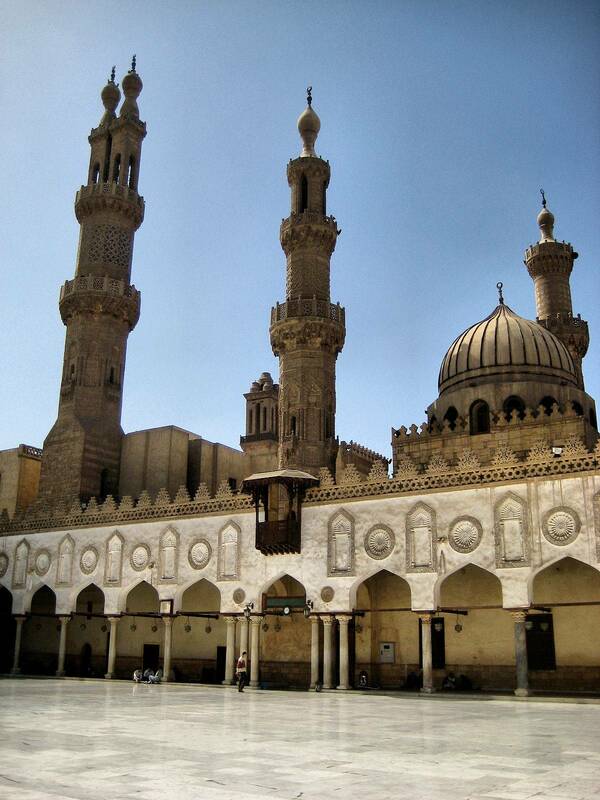 then Followed by a visit to the Most and Biggest mosques in Cairo which is El Sultan Hassan Mosque that also known as `Madrasa El Sultan Hassan` that was founded by Sultan Hassan in 1356 A.D The Mosque-Madrassa of Sultan Hassan is a massive Mamluk era mosque and madrassa located near The Citadel in Cairo. Its construction began 757 AH/1356 CE with work ending three years later “without even a single day of idleness”. At the time of construction the mosque was considered remarkable for its fantastic size and innovative architectural components. Commissioned by a sultan of a short and relatively unimpressive profile, al-Maqrizi noted that within the mosque were several “wonders of construction”. The mosque was, for example, designed to include schools for all four of the Sunni schools of thought: Shafi’i, Maliki, Hanafi and Hanbali.